Here are answers to questions we often get asked. Please read this before contacting us. What time do the doors open? Usually at 6:30pm. Will it be crowded and should I arrive early? The bar seats about 25-30, with a standing room for about 20-30 more. Early arrival is recommended if you wish to get a seat. What kind of reading series are you? We are primarily a speculative fiction (i.e. a science fiction, fantasy and horror) reading series. You’re the people responsible for the KGB Bar, right? I should contact you about the many other reading series at the bar and to schedule my event there, yes? No, we are are just one reading series among several held at the KGB Bar. To find out about available dates for other events, check out the KGB Bar website. 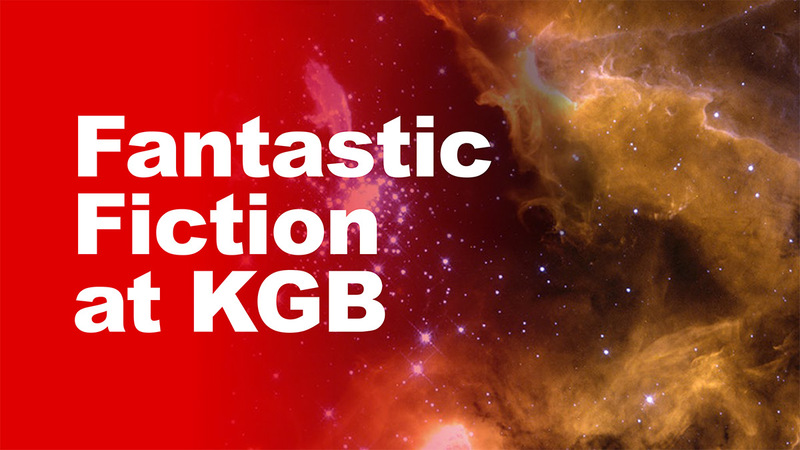 I want to read at Fantastic Fiction at KGB, or I represent someone who wants to read there. How can I make that happen? Contact us at info [at] kgbfantasticfiction [dot] org. We book up fast, sometimes as much as a year in advance. Pitch yourself or your author. Samples of the work are usually necessary, especially if you / the author are a newcomer. Since we receive a lot of requests, we cannot make any promises. I want to read my humor / memoir / non-fiction / literary masterpiece at your series. Can I? Ask yourself these two things: “Is my work fiction?” and “Could it be classified as science fiction, fantasy, or horror?” If the answer to either of these is “No,” we are unfortunately not the series for you. You might have more luck with another series at the KGB Bar. I read at Fantastic Fiction back in _____. When can I read again? Please wait at least a year before querying us. Since we like to be a venue for new authors as well as established ones, we tend to prefer longer times between reappearances. Is the KGB bar wheelchair accessible? Unfortunately, no. The building is old, and there is a steep stair that leads to the second-floor bar. I am under 21 years of age, or I wish to bring someone who is. Is there a minimum age to enter the bar? There is no minimum age to enter the bar, however those under 21 years of age will not be served alcohol under any circumstances. See the KGB Bar website for more information. I missed the reading! Do you have audio or video recordings or transcripts of it? Starting in May 2014, with the authors’ permission, we have been publishing audio podcasts of the readings. You can listen to them here. Photos of the night are also available here. The bar used to sell Baltika 6, an excellent porter, but now they never seem to have it, though they do have all the other Baltikas. Why is that? We’ve asked ourselves the same question, and we are just as baffled as you. If you still have questions, you may contact us at info [at] kgbfantasticfiction [dot] org.